Wrapped the Prawns in Pancetta and grilled until cooked. 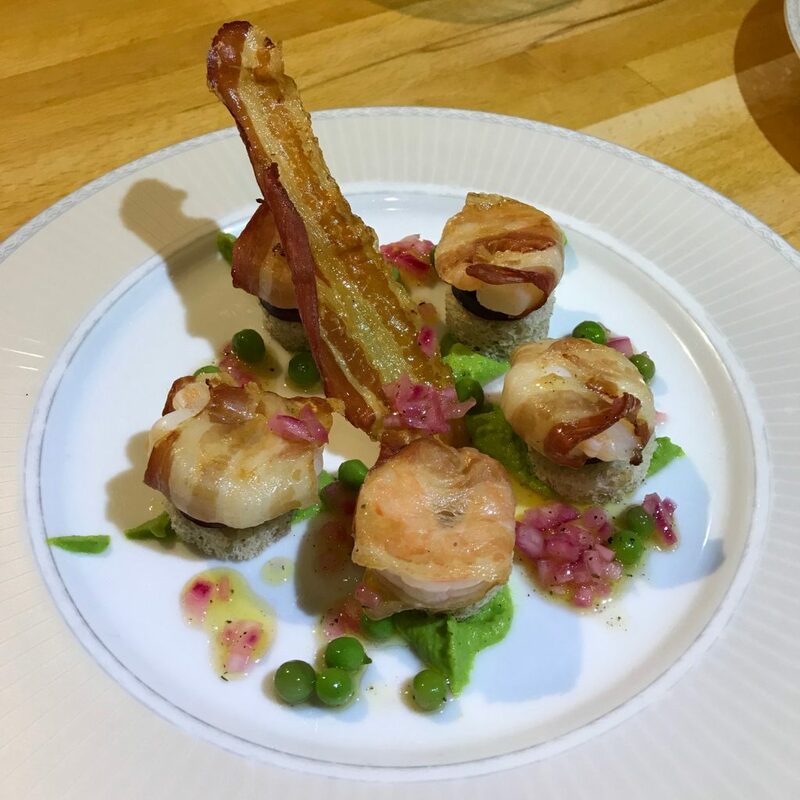 Served on crispy Croutons, sliced Chorizo, Pea Puree and Pea Dressing. 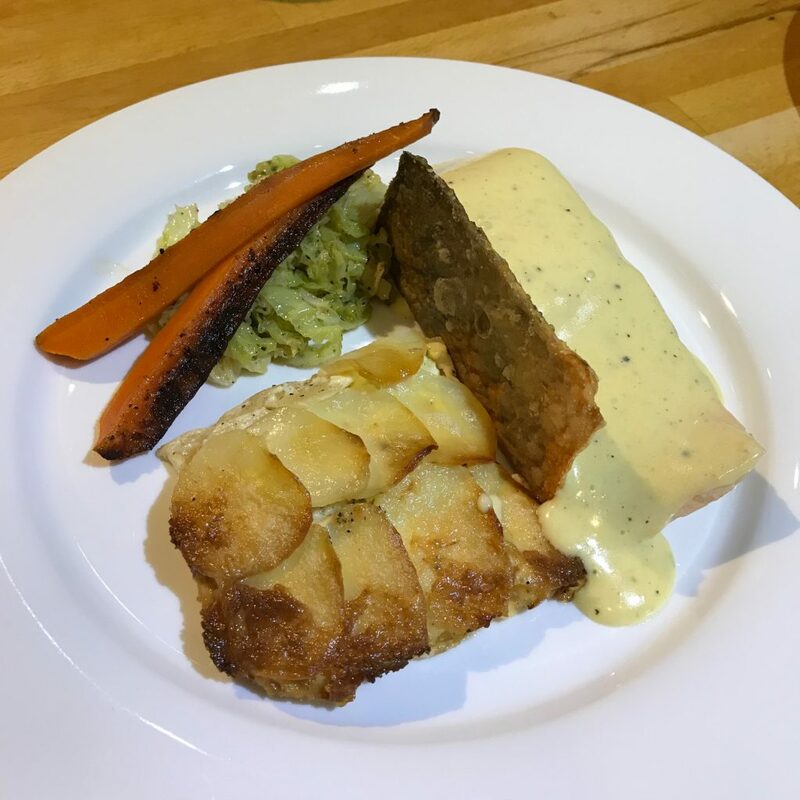 Poached Salmon in a Court Bouillon, served with Pommes Duphinoise, Buttered Savoy Cabbage, braised Carrot and Hollandaise Sauce. 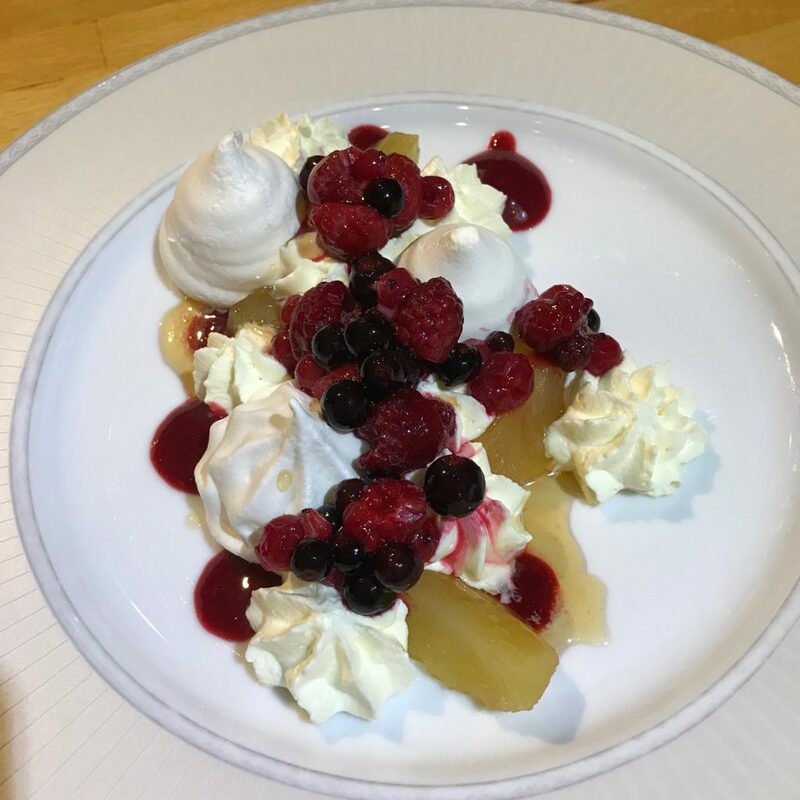 Served crispy Meringues with Poached Apple, Chantilly Cream. Raspberry Coulis, Berries and the warmed poaching liquor.